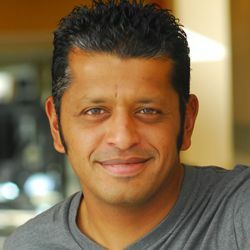 Srinivas Rao is the host of the popular BlogcastFM podcast and the author of the recent book, The Art of Being Unmistakable: A Collection of Essays about Making a Dent in the Universe. the key choice between choosing to play it safe or take risks. This entry was posted in Podcast on October 23, 2013 by Andy Gray.